Samsung Galaxy Ace S5830 is an old device that runs an 800Mhz processor with Adreno 200 GPU. It is one the phone that contributed its huge part in the Android revolution with other Galaxy members like Galaxy S and Galaxy Y. Samsung has launched a Galaxy Ace Duos version as well with dual SIM capability. Samsung has yet not bought any Android 4.0 Ice Cream Sandwich or Android 4.1 Jelly Bean update for Galaxy Ace but developers are trying their very best to support the device with custom firmwares. 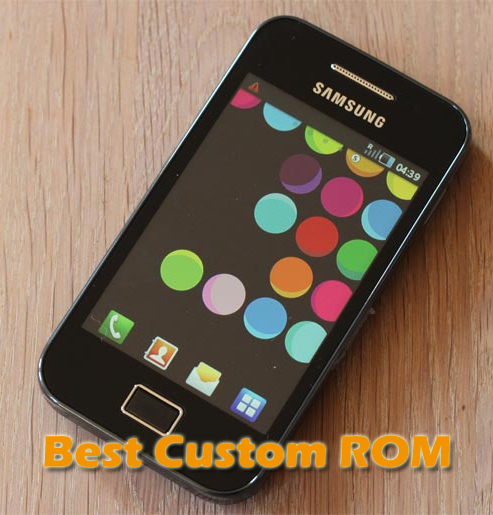 We have come up with the list of best custom ROM available for Galaxy Ace. These ROM is selected on the basis of performance and battery optimizations. We have also considered some user reviews who talked about the enhancement they linked. There are few latest ROM added to this article. Hope you will like them. You can also use Xposed framework to customize your Android Phone without custom ROM. Android 4.4 Kit Kat ROM for Samsung Galaxy Ace: CyanogenMod is a well known community build ROM for Android devices. Salim – A senior member from XDA forum has created a cyanogenMod 11 Kit Kat Android 4.4 Build for Galaxy Ace. It has some minor bugs but still all basic features are working. Its still beta version, but one of the best ways to enjoy Kit kat on your Galaxy Ace device. Revolution Ultimate V2 Xperia Edition ROM for Samsung Galaxy Ace S5830 – Sky walker is a well known developer for Samsung Galaxy Ace Phone. He has cooked many custom ROMs and this time he is back with a Sony Xperia Themed custom firmware. This ROM is based on latest CyanogenMod 7 source and firekernel by dragonn . The ROM is equipped with Xperia Launcher, Xperia Fonts, theme, ringtones, icons, clock and all basic UI features. There are lots of tweaks for performance and battery backup. Few tweaks have been made to User Interface maintain a fluid smooth experience. Stock ROM Evolution for Galaxy Ace: As resources are limited on Galaxy Ace and people who care about performance and battery backup should use a custom ROM that is running on Android 2.3.6 Gingerbread. This Stock ROM Evolution has a Galaxy S3 styled lock screen, theme, status bar, clock, media player and dialer. You will get Jelly Bean and ICS themed animation and User interface. The Rom is built on stocklite base and thus very light on resources and CPU + memory footprints are low as well. You must have already made up your mind about which ROM to go with. Then what are waiting for? Just proceed with the ROM you like. You essentially create a Nandroid backup of your existing ROM so that you can revert the same whenever you want. Let us know if you have any queries, we are here for you always.